Prepping the living room for a fun shoot, which leaves me just a few weeks to make some big design decisions. I'm working with a really amazing company in Wayne, PA called Aubusson Home to make it all happen quickly (Peggy and Loretta = you are design magicians). 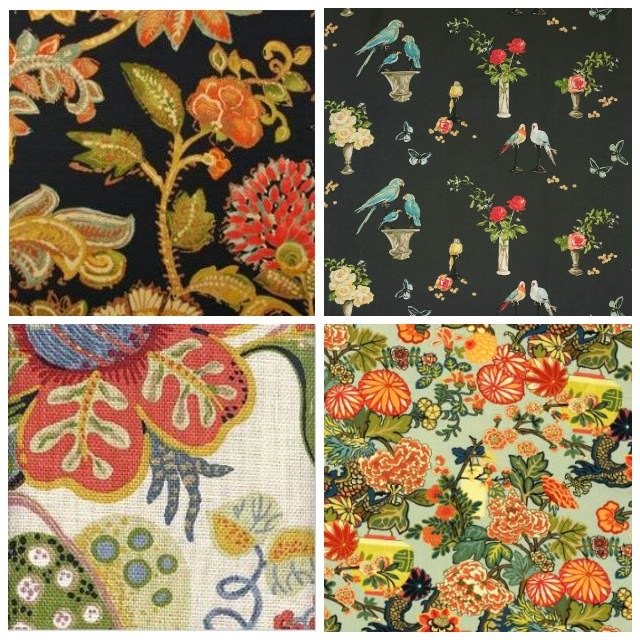 Can't decide which fabric, can you please weigh in??? Top left! Very Mary Delany, love it.